The new VersionEye API enables you to fetch a list of all licenses of your software project. VersionEye now supports 7 different package managers. In my example, I use a Ruby Gemfile to show how easy it is to get the license list. First of all, you need to sign up at VersionEye to get your API_KEY. The key is free and the whole process takes less than 30 seconds. As soon as you have your API_KEY, you can take full advantage of the VersionEye API. The “/api/v1/projects.json” resource supports file uploads via the API. Send your Gemfile via POST to this resource and you will receive a JSON object with all the dependencies in the file. 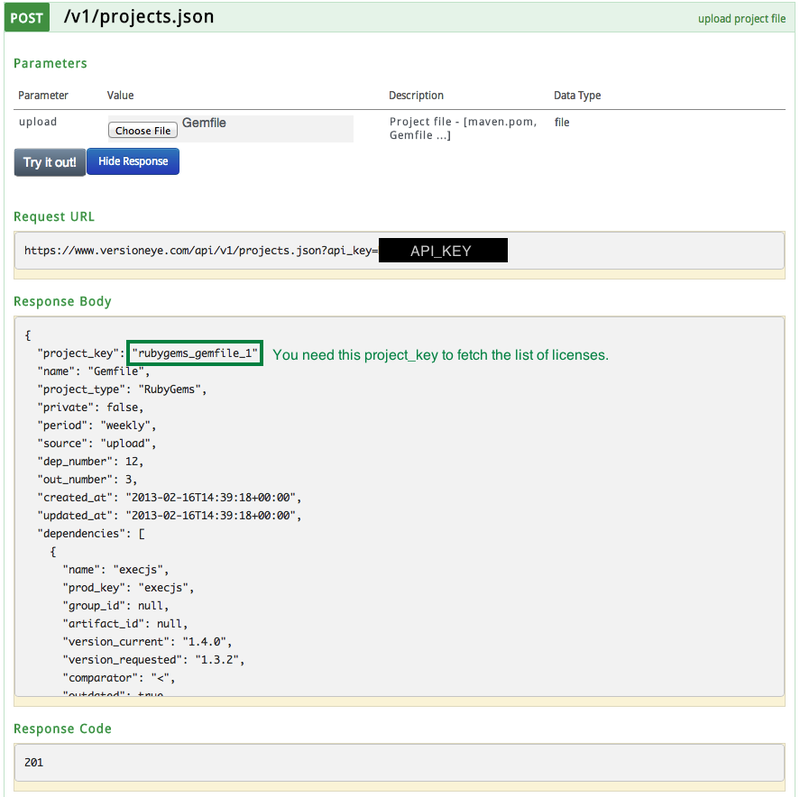 The JSON response contains a “project_key”. This project key is unique for each user. You can use it to fetch all licenses of the project. 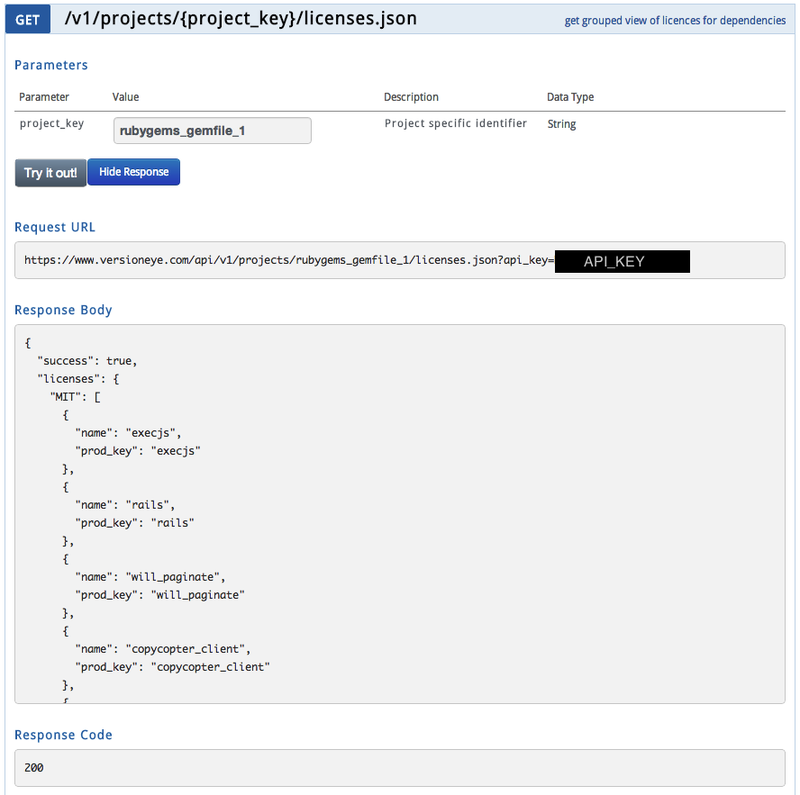 All you need to do is send a GET request to “/api/v1/projects/PROJECT_KEY/licenses.json?api_key=API_KEY” and you will receive the license list as JSON. That’s it. You only need two requests to get the license list. Please let me know what you think of this feature.